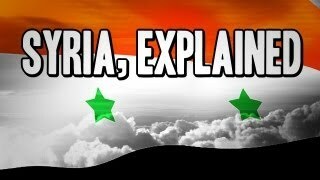 In which John Green provides some historical context to the current civil war in Syria, discussing Syrian independence, the rise of the Ba'ath Party, Syria's relationship with the rest of the Arab world (and Russia), the Presidencies of Hafez al Assad and Bashar al Assad, the Arab Spring protests in Syria, and the many flags of the Syrian nation. JUSTICE SOUND. NYAHBINGHI REGGAE ROOTS AND CULTURE MIX 2014 TRIBUTE TO BONGO HERMAN.